The process of issuing a passport has become easier, quicker and definitely better with the Ministry of External Affairs deciding to accept police verification after the passport has been issued. The directive is for first-time applicants through normal category. External Affairs Minister Sushma Swaraj on Monday announced that a passport would be issued if an application is submitted with copies of the Aadhaar card, voter ID and PAN card, and an affidavit of no criminal case which includes family details and citizenship. Applicants having Aadhar card, a voter ID, and a PAN card can easily get ‘Tatkal Passport’, said Digvijay Giri, Regional Passport Officer in Bhubaneswar. 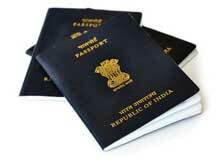 “Getting passport now becomes more easier in Odisha. People can get their Tatkal Passports within seven days after application. Police verification not necessary as only 3 IDs are necessary for application Aadhar, PAN, and Voter ID” said Giri. Aiming for faster delivery of passports, the government in a press release said that police verification will take place after the travel document is issued, provided certain identity documents are submitted at the time of filing application. It is part of government’s efforts to improve and liberalise police verification procedure for passport issuance. It said the passport will be issued subject to successful online validation of Aadhaar number. EPIC and PAN card may also be validated, if required, from the respective databases. In August last year, government had already said that no police verification was required for reissue of passports.